Wait. What? In surely one of the greatest examples of secret-keeping in the history of secret-keeping, Harper Beckham has only just found out her mum was a famous pop star! Spice up your life, Harper! Surprise! We’ve all had that mum or dad moment. The one where our kids realise that we haven’t always been their parent, and in fact had a quite different life before the childcare drop-off/cutting-sandwiches-into-hexagons-thing. 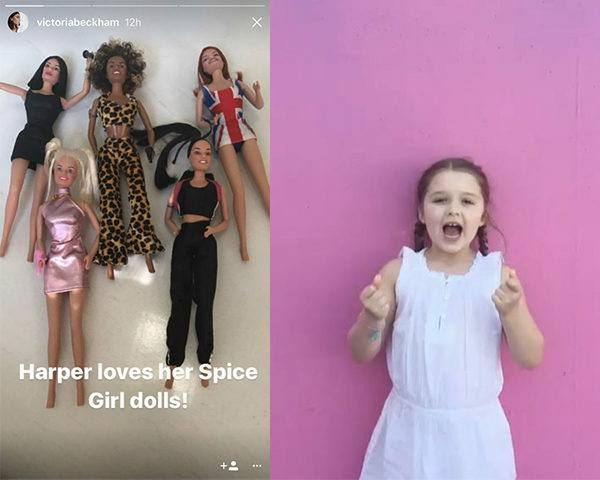 Victoria Beckham only just navigated this experience with daughter Harper – and lucky for us, she shared the whole delightful experience on Instagram. 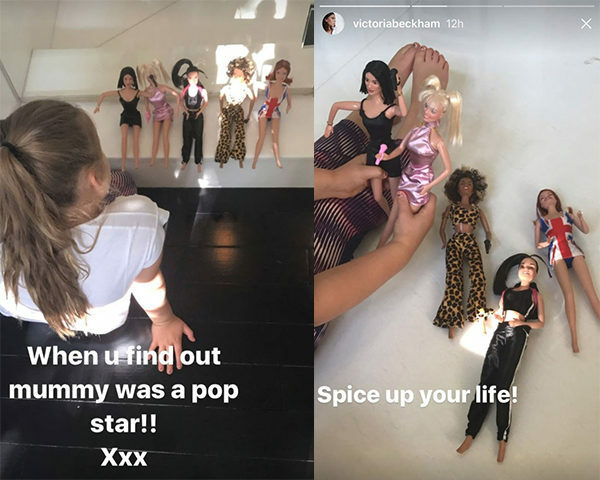 Victoria categorically proved she was no wannabe, when she gifted her daughter a complete set of Spice Girls dolls – featuring one in her very own likeness! This genius move could not have delighted 6-year-old Harper more. It was apparently the first time Harper realised that her mum used to be incredibly posh! The Posh doll was one in a set of five featuring Spice Girl faves Scary, Baby, Sporty and Scary. The dolls were all dressed in their signature outfits, and while the doll version of Victoria admittedly had the least impressive look, it probably made Harper love her all the more. Because mums are the best. Especially doll mums. Perhaps gobsmacked by the realisation that there was more to her family than she’d realised, Harper speedily reconciled the doll in front of her with lovely mum. You know, it was almost like 2 Become 1. It’s clear that the youngest Beckham child (sibling to 18-year-old Brooklyn, 14-year-old Romeo and 12-year-old Cruz) is besotted with her new toys – and impressed with her mum’s pop star pedigree. We predict many, many hours playing with the dolls as Harper determines to never give up on the good times – and dress and undress them until the cows come home. We’re very grateful to start the week with this this bolstering journey back to the 90s, we must admit. Thanks for the memories, (Harper’s) mama!